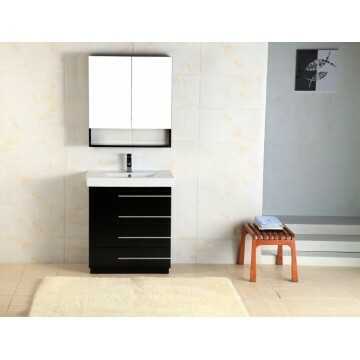 Home » Contemporary » 30" - 39" » Carlo 30"
Free standing all wood vanity, available in black and white matte finish. 3 drawers finished in matching interior. 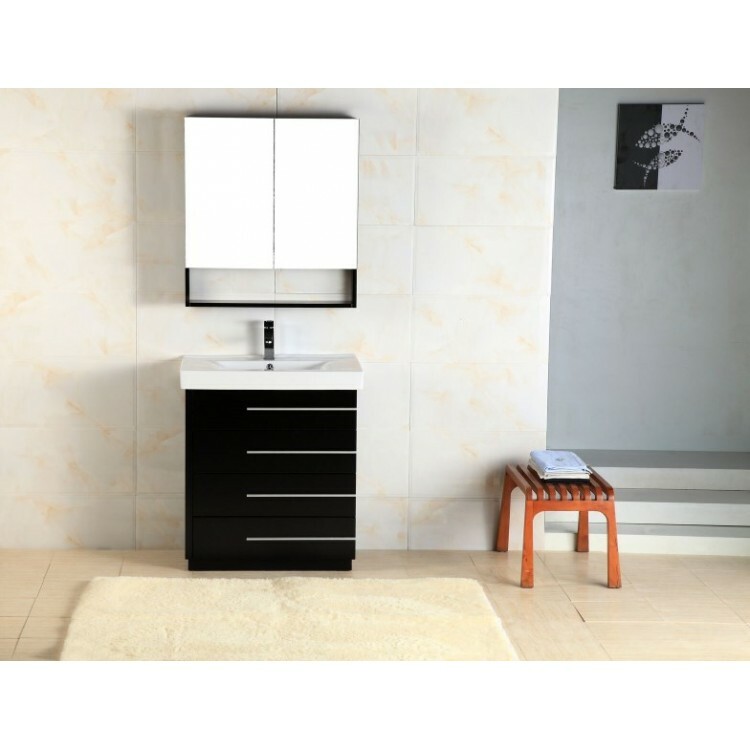 Ceramic top with integrated basin. 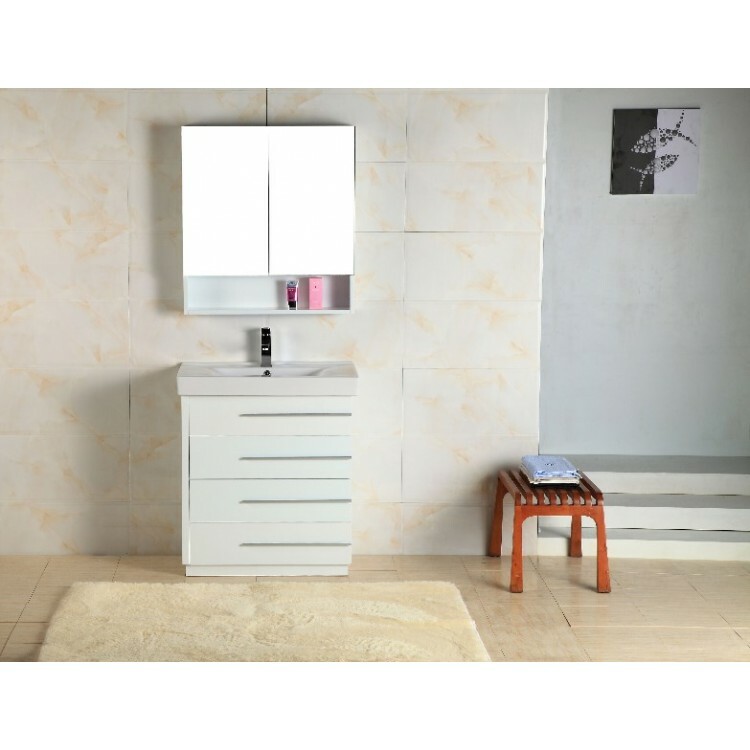 Matching medicine cabinet and brushed aluminum handles included.